As the loop trail wound higher on the flank of Diamond Hill, the views became vistas and gained in grandeur. 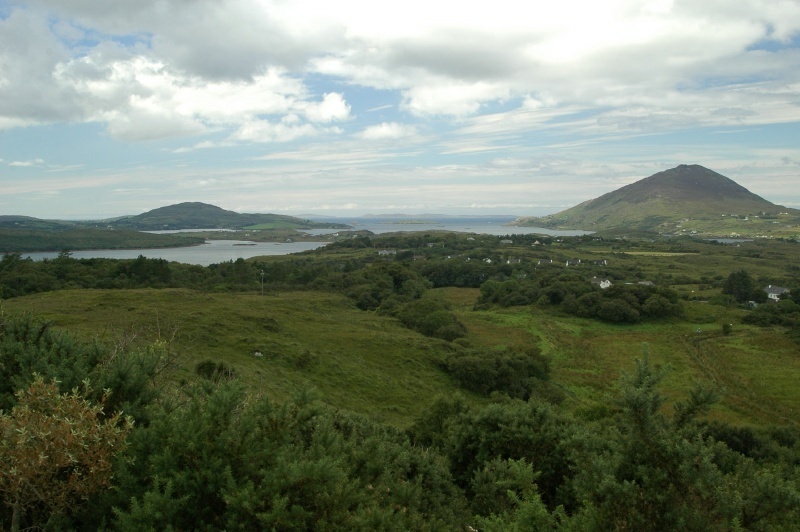 This is northwestward, toward Ballynakill Harbour (center) and Barnaderg Bay (closer, at left) toward which our hotel faces. I think the cone at right is Tully Mountain.